There’s (almost) nothing more exciting than planning your next journey. Snuggled in your couch on a rainy weekend with a map spread out over the floor and a guidebook in your hand, the adventure starts before you even leave home. Although we provide a lot of useful information about our favorite Germany destinations here, a guidebook is still an essential travel tool. The best choice is one that is comprehensive, up to date, and also covers off-the-beaten path destinations. After a lot of research, we found exactly what you need. 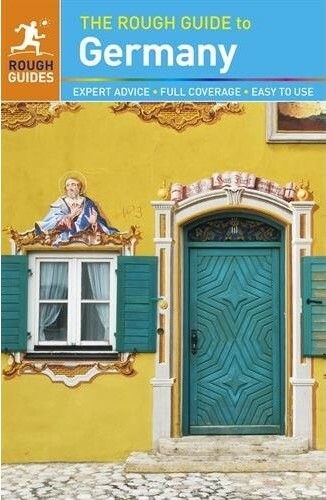 The Rough Guide to Germany is the ultimate travel guide to this dynamic country. Full-color photography illustrates Germany’s stylish cities and beautiful landscapes, its meandering rivers and picture-perfect castles. Detailed accounts of every attraction provide all the information you need to explore the country’s exceptional museums, iconic architecture, and its many rural escapes, from the soaring Bavarian Alps and dense woodlands of the Black Forest to the beautiful beaches and islands of the North Sea, or the idyllic Rhineland vineyards where you can sample some of the country’s many world-class wines. This Germany guidebook includes practical advice to ensure that, no matter what your budget, you’ll find the perfect boutique hotel, convivial hostel, authentic cellar restaurant, stylish gourmet haunt, design-conscious shop, cutting-edge arts venue, or hip bar and club — all marked on the book’s many color maps.